Of course the big digital politics story today is the D.C. Circuit Court of Appeals decision against network neutrality in Comcast v. Federal Communications Commission. There are a number of factors involved, which include prevailing attitudes about the FCC's authority to regulate the Internet and cultural skepticism about the value of file-sharing technologies that are seen as infringing upon copyright in the company's attempt to restrict BitTorrent use among their customers. As the EFF explains in "Court Rejects FCC Authority Over the Internet," the issue is likely to be bounced back to the legislature. Here's the problem: Congress has never given the FCC any authority to regulate the Internet for the purpose of ensuring net neutrality. In place of explicit congressional authority, the FCC decided to rely on its "ancillary jurisdiction," a catchall source of authority that amounts to “we can regulate without waiting for Congress so long a the regulations are related to something else that Congress told us to do.” Of course, this line of reasoning could translate into carte blanche authority for unelected bureaucrats to regulate the Internet long after Chairman Genachowski has moved on. There’s an easy fix here: The FCC can change broadband back to a “communications service,” which is where it should have been in the first place. By reclassifying broadband, all of these questions about authority will fall away and the FCC can pick up where it left off – protecting the Internet for the public and bridging the digital divide. Supporters of network neutrality are urged to sign this online petition during a rapidly shrinking 72-hour comment period. This YouTube video with motion graphics champions network neutrality to the unconverted. 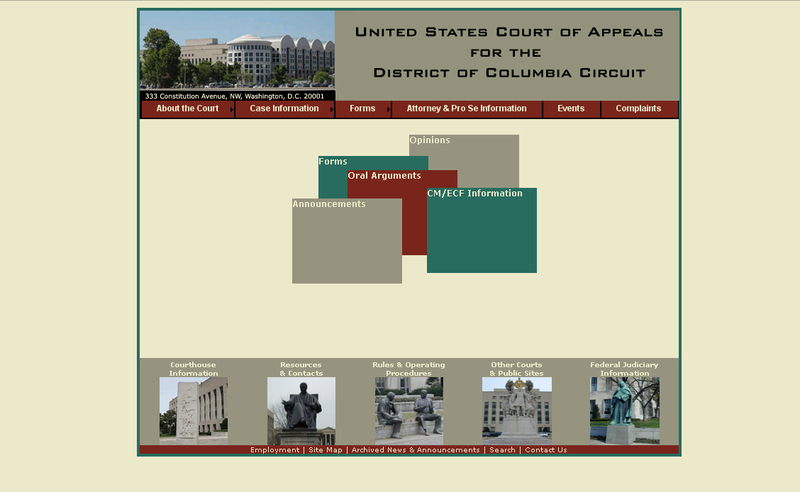 Ironically, the website for the district appeals court deciding the fate of the Internet is still "powered by IBM Lotus Workplace Web Content Management," while the FCC seems to be trying to improve its digital rhetoric at FCC Reboot. Maybe they won't actual win a Foley Award this year.